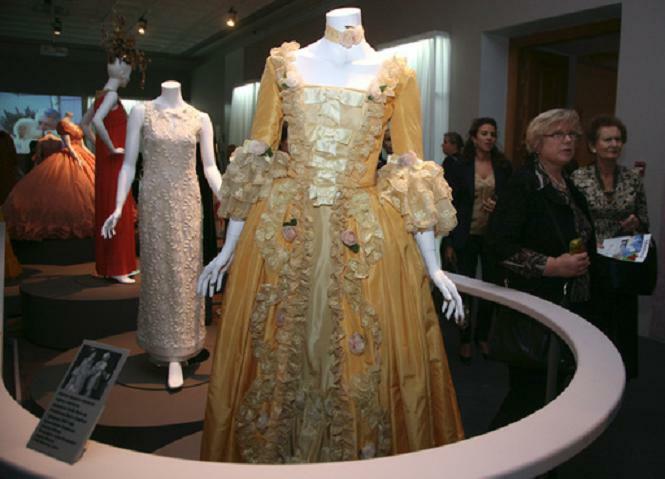 An exhibition entitled “The Epoch of Grace Kelly, Princess of Monaco” opened in the Russian capital. It tells about personal life of the Hollywood star who became the wife of Rainier III, Prince of Monaco. The exhibition is timed to coincide with the 25th anniversary of her tragic death in a car crash. The exposition has been already shown in Monaco and Paris. It was brought to Moscow by the Grimaldi Foundation headed by Sovereign Prince Albert II, Grace Kelly’s son. Later, the exhibition will travel to London, Rome, and New York. Cultural ties between Monaco and Russia have always been stable. It is well to remind our readers here that, in the early-20th century, the renowned Diaghilev Ballet Seasons were held in Monaco. A major project in recent days was an exhibition from Russian museums entitled, “Russian Artists of the Jack of Diamonds Group: between Cézanne and Avant-garde Art”. Attending the opening ceremony in Moscow was a representative of princely family, Herve Eryan. “I hope that the exhibition will be a success in Moscow just as it was a success in Paris and Monaco. Cooperation between Monaco and Moscow becomes ever closer, and I hope that the exhibition will open up a new chapter in bilateral cooperation. I want to emphasise that the bulk of this exhibition’s items are stored in the Palace. These things are dear to me. They are beautiful, and I think that for many they will be associated with a certain return to the past and evoke the feeling of nostalgia”. Grace Kelly’s life story is told by the numerous things concerning her brought to the Russian capital. Amongst the most interesting exhibits are children’s toys, her wedding dress, video films made by the Princess, and letters of her husband and numerous friends, including Mstislav Rostropovich, Rudolf Nuriyev, and Mark Chagall. Mstislav Rostropovich wrote to the Princess that he looked forward to his trip to Monte Carlo and hoped to see all her family. In Mark Chagall’s letter, the artist signed his autograph in the form of little fish. Grace Kelly’s daughter Princess Stephanie and numerous courtiers arrived in Moscow for the occasion.